IMR, Inc. has, over the years, successfully arc welded hundreds of crankshafts up to 1500 ton capacity. 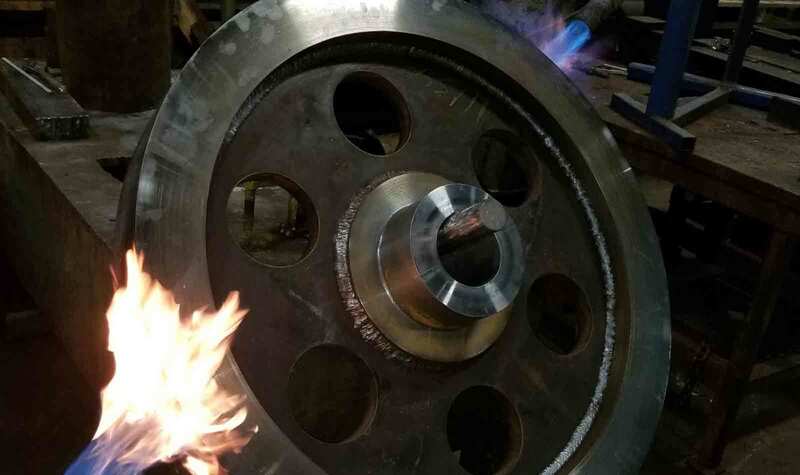 Our process includes preheat, proven welding techniques, vibration stress relief, normalizing, rough machining and finish grinding on our crankshaft grinders. Heavy brazing itself is a skill within a skill. At IMR, Inc. our record at heavy cast iron brazing speaks proudly of itself. 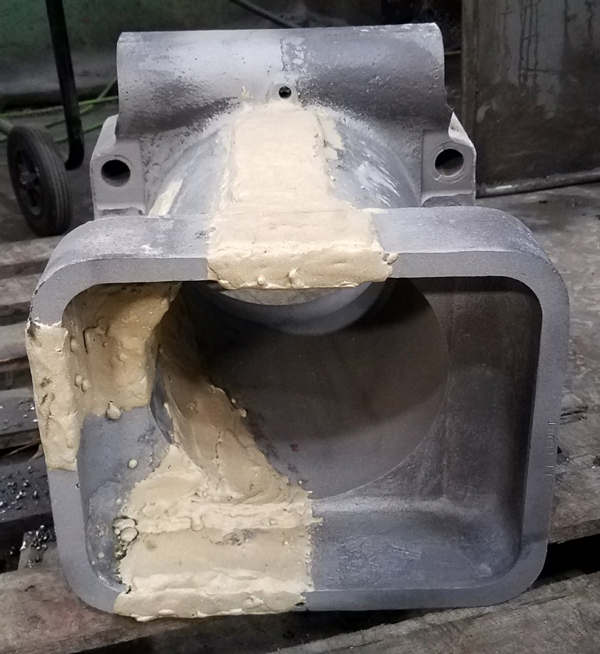 Many press components which appear to be unrepairable are expertly and permanently repaired by this process. This barrel has been brazed and is ready to be machined.